Primary School tuition in Belize = US$ 50/yr. High School tuition = US$500 /yr. Some of the brightest and most promising graduates are unable to continue their education. Beginning in June, 2011, a program of scholarships was begun for graduates of Sacred Heart School. The first group of four scholars graduated in June, 2015. 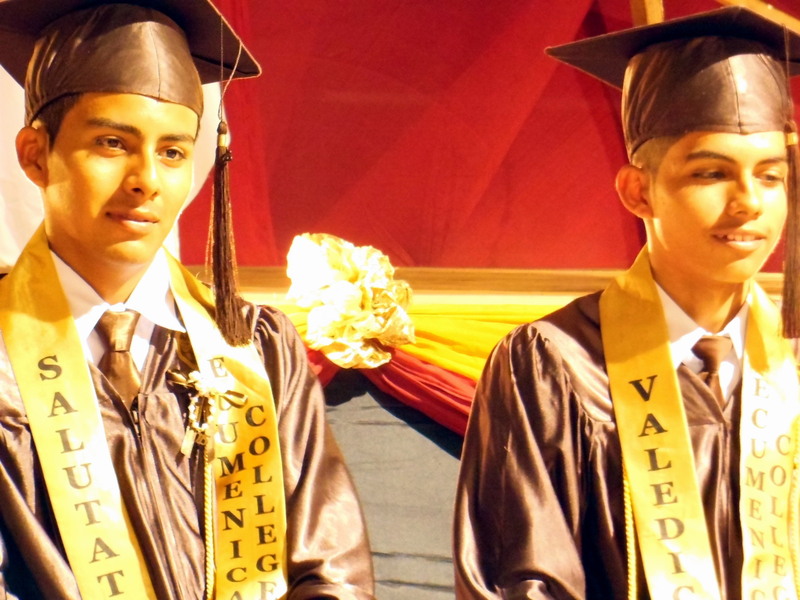 Among them were both the Valedictorian and Salutatorian of their graduating class. To date, PLB has awarded over $16,000 in scholarships to 22 students. ← Check out PLB Director Geoffrey Dillon, S.J. on TV!